Just as there are several factors that determine the weight of an adult, there are several factors that determine the average teen weight. Gender, build, and age all factor into the equation. Because teens' bodies are still developing, the average weight and height of a teenager can fluctuate quite a bit from one year to the next, finally stabilizing around 18-20 years of age. What Is the Average Height and Weight for a Teenager? A highly physical teen boy with great muscle tone could easily weigh higher than average on the standard average height and weight chart. This is due largely to the fact that muscle cells weigh more than fat cells. Due to this, a more common measure of average healthy bodies is based on a formula known as the Body Mass Index or BMI. (BMI formula = your weight divided by your height squared). The Center for Disease Control recommends the use of a BMI calculator to screen for obesity, overweight, underweight, and healthy weight. However, the site states, "BMI is not a diagnostic tool." Even if a teen has a high BMI, a health care provider would perform other diagnostic tests to determine if a teen is overweight. Curious where you fall? Calculate your own body mass index using the handy widget above. Choose between US customary (pounds, feet and inches) or metric (kilograms, meters and centimeters) units of measurement. Type in your weight and height in the corresponding fields. Click the "Calculate" button to reveal your BMI. Click the "Clear Results" button to perform a new calculation. Use the charts below with BMI ranges for children to see where your results fall. Another important consideration is growth rate. This is unique to children and teens, as their BMI, height, and weight will flux as their bodies are developing. This is one of the many reasons adult averages should never be used to evaluate teenagers. Ultimately, the best evaluation is the one performed by a pediatrician. At each physical exam, height and weight should be measured, tracking progress on an individualized chart. This general health screen is recommended every two years for teenagers, aged 11 to 24 years. While the above charts highlight the average height and weight for teenagers, there is much more to this story. Pediatricians have graphs with heights, weights and BMIs for each age and percentile. If your teenager is way off this chart, a visit to your doctor is the next step. Pediatricians see lots of teen bodies, and therefore, have a much healthier appreciation for what "normal" is. Teens bodies are dramatically affected by puberty. How? Hormones will begin to transition the body's structure. So, even while normal growth happens, a teen's body will begin to look different. These changes may worry a teen, as they lose their straight and narrow childlike bodies. Girls are worried about the curves and guys worry about looking sturdy and masculine. Often, actual height and weight really makes little difference. All teenagers also go through a period, lasting about two years, of rapid height growth. Before this occurs, the body may appear heavier. After the growth spurt, the body begins to elongate, even appearing too thin. For girls, this time of growth usually occurs in the preteens around 10 to 14 years. For boys, it is later, usually around 12 to 16 years old. A girl's body fat percentage will naturally increase and a boy's will decrease. Genetics play a large role in how this all pans out. 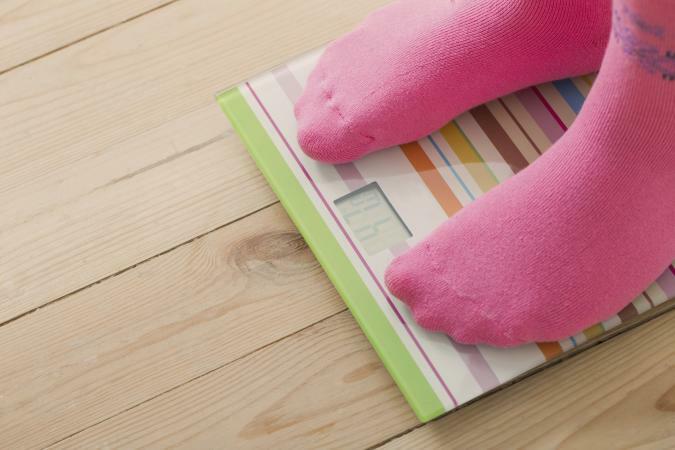 Mayo Clinic stresses the importance of talking to your teens about body image and weight and letting them know that, "There's no single ideal weight and no perfect body. The right weight for one person might not be the right weight for another." Don't talk about fat versus thin, talk about what's healthy. When you feel good, you look good, so focus on health more than numbers. If you have concerns about your current height or weight, please address this with your primary care physician. A doctor can address all of your concerns based on your medical history, age, current height and weight. The information contained in this article is based on current averages for girls and boys in a particular age range. Individuals may weigh either more or less than what is listed in the above charts.